Our Red Bank dental care practice has helped many patients achieve great dental health, even after serious problems. We take a holistic approach to restorative dentistry and advanced dental care, allowing us to treat the teeth, gums, and other parts of the mouth. With this in mind, we want to focus on how gum disease can cause tooth loss. This may help you understand how different parts of your mouth are connected and dependent on one another. Also known as periodontal disease, gum disease refers to a bacterial infection of the gum tissue. When gum disease occurs, it leads to serious problems with the health and appearance of the gums. Left untreated, gum disease can cause severe dental health problems as well as issues that affect general wellness. The most serious problems associated with gum disease occur in the later stages of the condition. Gum recession is one of the dangers of gum disease in its later stages. This refers to the loss of gum tissue from along the gumline. 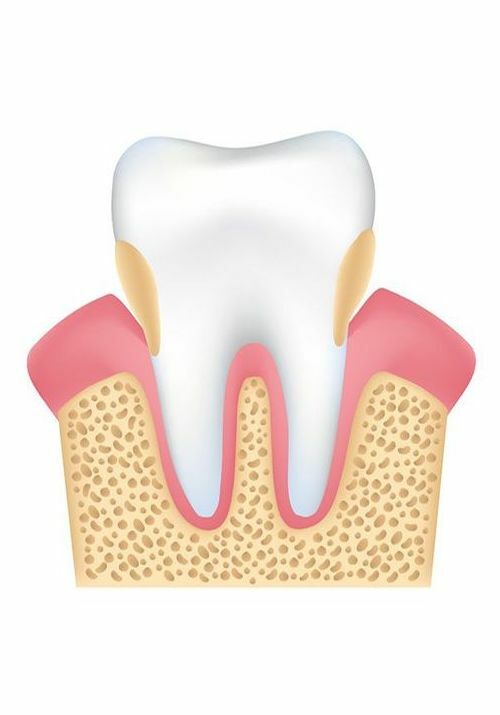 As the gum tissue peels back, it reveals more of the tooth roots and also reduced the amount of soft tissue support from the teeth you have in place. These problems are serious, and they lead to major issues with smile aesthetics. With more of the root structure revealed, it is more likely for tooth decay to occur below the gumline. This weakens teeth substantially, and makes teeth more prone to breaking and potentially falling out. This kind of tooth decay is more difficult to deal with than traditional tooth decay since there is less enamel and dentin in place than the crown of a tooth. In addition to problems with gum recession, teeth are more likely to be looser as a result of advanced gum disease. The teeth may start to shift out of place or wiggle when in place. This lack of stability increases the possibility of teeth falling out. Inside of each tooth is a cluster of dental pulp. This soft matter is comprised of nerve endings, blood vessels, and connective tissue. When this dental pulp becomes infected, it is known as a root canal infection. These can be quite painful, and sometimes a seriously infected tooth cannot be saved. Extraction is the only treatment option in these cases. Smoking and the use of tobacco products increases the risk of infection. As a result, gum disease is far more likely in people who smoke. Studies even show a link between smoking and tooth loss, and gum disease has a role to play in this correlation. When it comes to treating gum disease, the first step is getting the infection under control. This is most often achieved through the use of antiseptic rinses and antibiotics. If there is recession of the gums, this can be treated through gum grafting, an oral surgery procedure that rebuild the gumline using donor tissue or artificial gum grafts. When it comes to treating tooth loss, there are a few options to consider. Dental bridges and dentures are a common option to consider. For some people, the use of dental implants may be an option. Both of these can be discussed in greater detail during the consultation process. For more information about gum disease, tooth loss, and how we can help you have a healthy and beautiful smile, be sure to contact our advanced dental care center today. We look forward to your visit and discussing these matters in greater detail.